My novella “Ripper” appeared for the first time in the Horrorology: The Lexicon of Fear anthology from Stephen Jones (published by Jo Fletcher Books). It’s now up at Amazon for purchase. 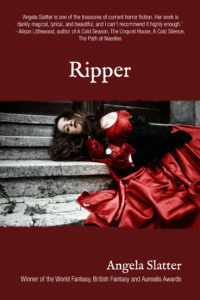 The story introduces the character of Kit Caswell, who stumbles into the Jack the Ripper investigation.